Office 365 has basic administration tools in its web portal, but when it comes to doing anything much fancier than creating a user and editing some basic details, you will often find yourself having to use office 365 powershell. 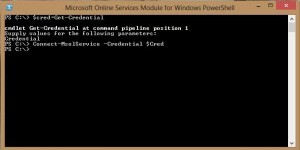 There are a vast amount of functions you can perform with powershell and many of them are covered in other articles on this blog, but for now I will cover the basics of getting powershell installed and logged in using Windows 7 or Windows 8. 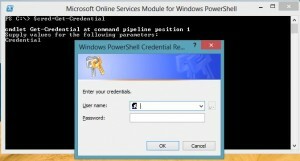 The powershell install has a few easy prerequisites – MS Online Services Sign-in Assistant and Netframework 3.5. The first install is a small download, which can be accessed from the links below. Next you will need to install netframework 3.5. 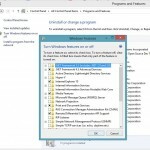 This is a windows component that can be installed from within control panel. Open up control panel, then (within classic view) navigate to “programs and features”. From there, click “turn windows features on or off” (on the left side of the window). 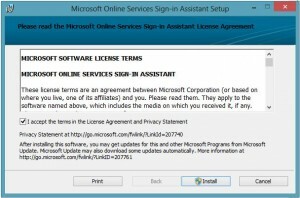 This should open up a “windows features” box, and at the top of this check the box for “.NET Framework 3.5″ and hit “okay”. It will proceed to download and install it. 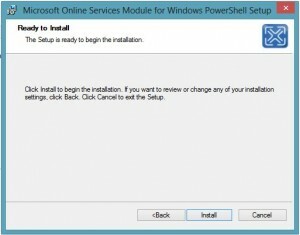 Once you have downloaded it, it should be a relatively simple and quick installation. If you put this all in correctly, it should look like the window above and you should be ready to execute commands on your office 365!